Today I went to the boot sale at Noak Hill. The weather was verging on rain-again, so I dashed around rather quickly. I found this super Topshop brown leather fringed bag for only £1-I know another bag again, but fringes are in this summer, plus its leather and a bargain!! My outfit is an ecletic mix of old and new-I am wearing an original 60s cardigan-I love the style and colour-a perfect cover up for this unreliable weather we are having at the moment. My t shirt is vintage by Commes Des Garcons-it says Un, Deux Trois! 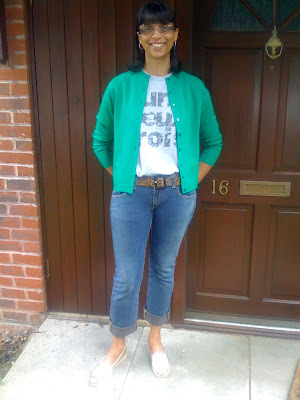 My jeans are the newest item, rolled up with a rockabilly 50s vibe, I think!! I love the t-shirt. cool hand bag too. Its adorable how you have the whole outfit together. Love the leather bag, well done! Hi ellie-thanks so much for your lovely comment!! Hi rohit-thanks for your lovely comments!! Oh my god, you HAVE to go shopping with me nest time I go to London, I mean how on earth do you manage to score these great deals??? 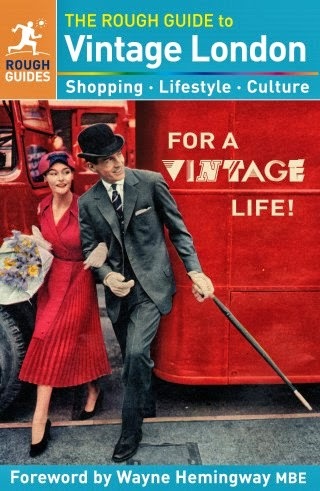 ?Vintage and second hand are so much more expensive here, thats why I buy so much on ebay. LOVE the fringe bag and the cardigan!! Hope you are enjoying your sunday! you look adorable in that outfit! I really love that topshop bag. it was a real bargain, my god! I liked one from Zara, but it was 90 euros! no way!! I need to go for vintage as you did! great choice! Thanks for the advice on my graduation, I really appreciate it! It was so nice that all you answered me so fast! Finally I wore it like in the 1st pic. Hi Silje-that would be brill to go shopping!! In the summer, the boot sales are fab over here-but you do have to rummage! Thanks so much for your lovely comments-hope you are enjoying your Sunday too! Hi atelier-yay! I loved that 1st choice-well done!! Thanks for your comment too! Lovely match Sharon! Cardigan is my favourtite, gorgeous color work out perfectly on you! 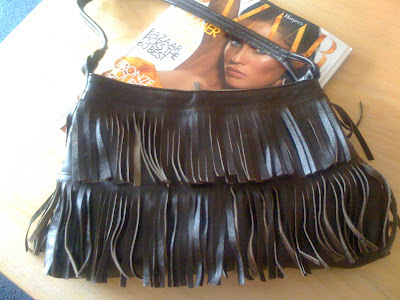 Fringe bag is true bargain, i bought one from Furla this winther on Yoox, kind of suede fringed bag in light brown. Hi alice-thanks so much for your kind comments! yes, a fringed bag is popular for summer! You take care, too! Hi pammish-I'm sure you have some lovely bags you can show me!!! ah you read my mind, I plan to do a post on fringes pretty soon. Great bag! Great fringed bag. With what you pay for bags, you can afford to have 500 of them! Why not? Hi danz-thanks so much!! Look forward to your fringe post too! Hi wendy-thanks a lot! If I had 50 bags that seems over indulgent, let alone 500-ha ha!! ooh gorgeous bag! nice find, i love car boots too! Love your t-shirt and this fringles bag! Oh wow the bag is SUCH a find! I'm rarely ever that lucky! Thank you for the sweet comment you left on my blog! What great finds! I wish I lived in England. Thrifting is much better over there! that topshop bag is amaaaazing!!! so jeal!!! Hi kate-ha ha! !Yes, I must admit, I do feel like a little magpie sometimes, eyeing up the bargains!! Hi cupcakes and cashmere-thanks so much for stopping by my blog-I'm adding you too!! Hi blossomclothing-thanks for stopping by-thank you and I'm adding you too!! Hi winnie-thanks so much!! You need to rummage-ha ha!! Hi monique-thanks for stopping by my blog-yes I will do that and add you to my links too! have a nice day too! Ha ha Jen! I will keep my eyes open for you!! Thanks a lot! Hi asian cajuns!! Yes, now it's summer (supposedly!) the boots sales are in full force-but the charity shops are also good too!! Hey, the bag is looking so Prada-like! Good investation, I think it will make every outfit amazing. Hi charlotte! Thank you so much-yes, I think it will go with a lot too! Hi Ida-thanks so much for your lovely comments!! You have a good week too!! i am sooo jealous of your fabulous fringe bag! Hi fashion is poison!! Thanks a lot and thanks for stopping by my blog!! Hi emma-thanks!! I will be doing a tag post today or tomorrow as dear cate tagged me at the weekend too! You know... I've been looking for that kind of bag for a long time now. But cant find it anywhere. Lucky girl! 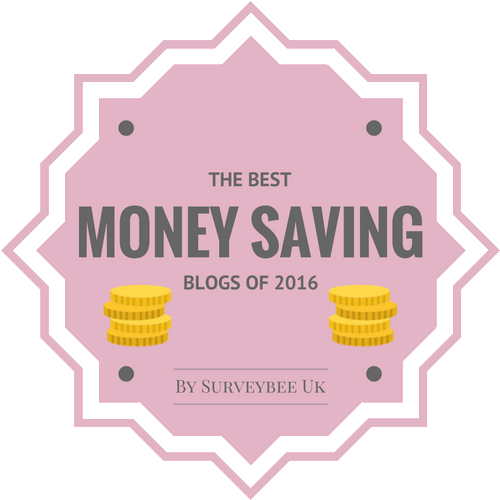 Thanks so much Mira and thanks for stopping by my blog! I think you tend to find things when you're not looking-do you get what I mean? ?